Archive Options for Editors. We will explore all practical methods of asset archiving and talk pro’s and con’s of each. 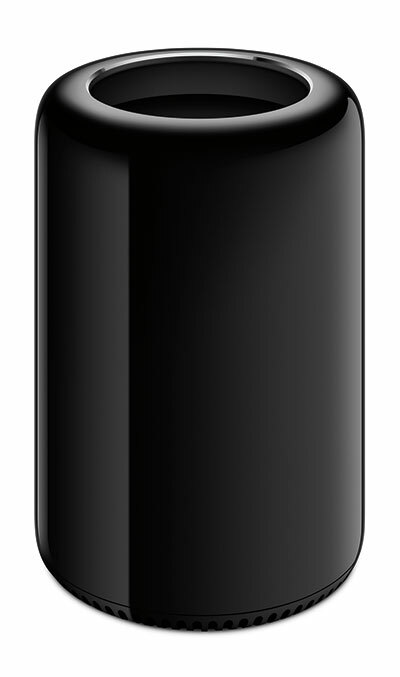 Apple did not release any new hardware or software for Pro’s on Oct 22, but they did give us some new info on the new MacPro hardware. Base model will start at $2,999 and other models will go up from there. There is an interesting discussion on the cost of the top of the line MacPro, summarized in this video. It does look like we are losing native firewire ports. Expansion will come in the form of external Thunderbolt devices from such companies as ATTO, Sonnet, Magma, Promise and others. Apple also released the next version of their operating system, OS 10.9 Mavericks, which is FREE. Before you go out and download it, beware that it may break things like interface cards and peripherals. The main feature of Mavericks is the tagging, which works like the old “labels” except now they are completely flexible and integrated into the OS. Greg Lindgren demo’ed his DJI Phantom quadcopter, which flies a GoPro 3 camera. His footage was slick. My own experience with the Phantom were less than stunning. gimbal. Much easier than attempting to install one yourself (IMHO). We discussed the legallity of drone flights, and the potential issues with FAA regulations beyond “hobby” use. CCW expo takes place on Nov 13-14 at the Javits Expo. Their description from the web site: “CCW brings together the most inspired minds in media and entertainment production, post and distribution from around the world. Interact with the latest products, explore technological innovations firsthand, and hear from experts who shape the industry at every stage. Discover, define, and deliver your vision with CCW.